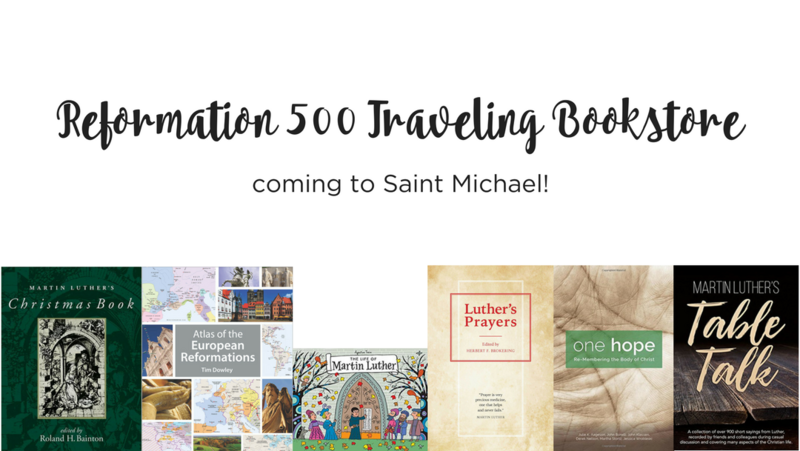 Reformation 500 Traveling Bookstore coming to Saint Michael! Orders will be taken from Saint Michael members for these two weekends and submitted at the conclusion of the book sale. For more information, contact Jim Kautz or Jim Newland.